The 2019 hiking and events schedule will be available in February--please check back. 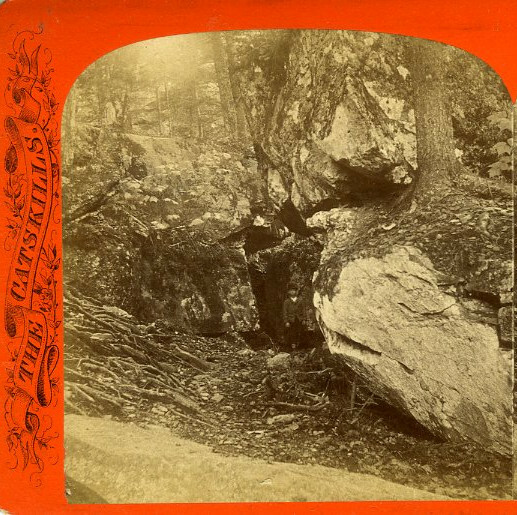 Here is another view of the Second Ledge on South Mountain--this one a Loeffler stereograph which names the site The Lemon Squeezer. 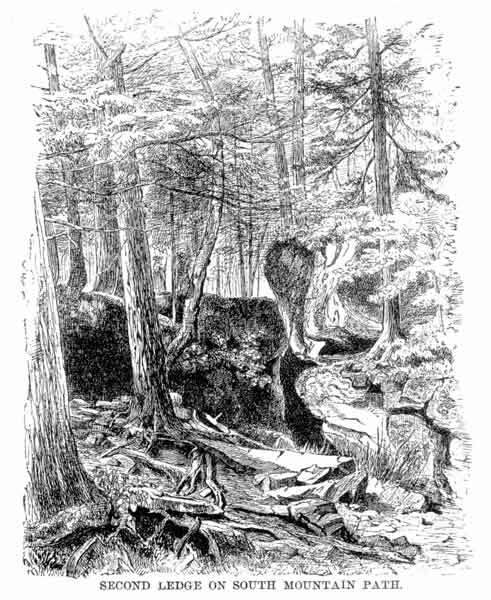 Loeffler's choice of the name caused us a great deal of confusion because it was also the name of a crevice near the top of South Mountain and differed from the name given by Van Loan in his trail description. Note Loeffler's use of a young boy in the center of the photo, perhaps to make the site look larger than it actually is.